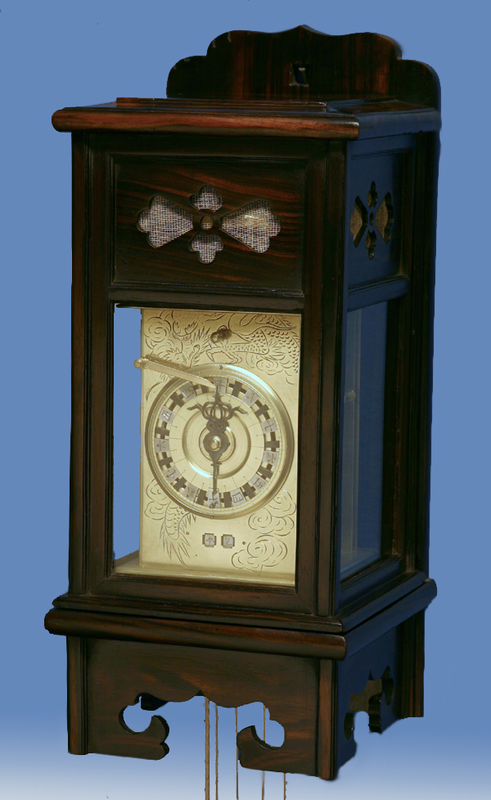 Rare c.1840 Japanese Self-Adjusting and Striking Lantern Clock in a Glazed Ebony Case. 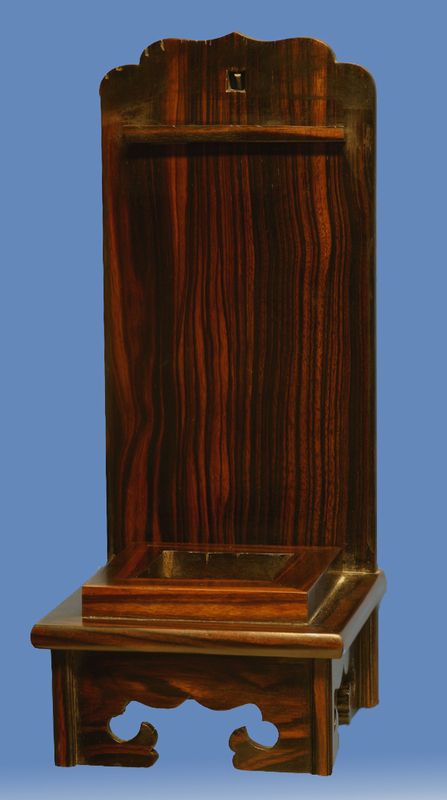 An extremely rare Edo period self-adjusting Japanese striking lantern clock in a glazed Ebony case. The wall-hung ebony case has a lift-off hood, glazed sides and fabric-backed frets. The engraved front plate depicts a dragon amongst scrolling clouds. In the center is the rotating dial with a turned outside rim and sunken center, adjustable silvered engraved markers for the temporal ‘hours’, Shokudo markers for the ‘half-hour’ marks and an elaborate steel cut pointer that indicates the time. 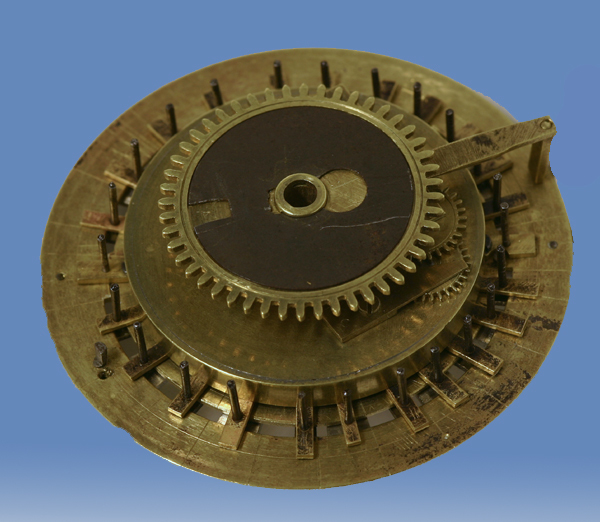 Below are the two apertures for the sexagenarian calendar and in half the ‘hour’ marks are holes for the adjustable lifting pin that activates the weight-driven alarm by a shaped brass arm. Most important is the self-adjusting feature of the rotating dial. 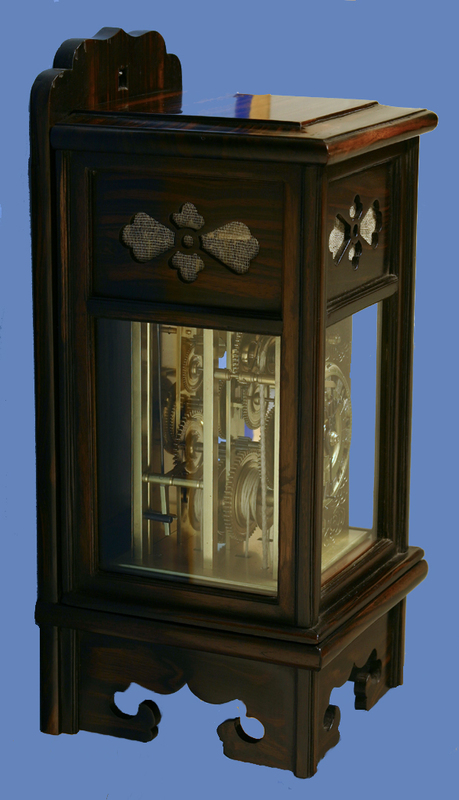 Each of the plaques is pinned to an arm and all the arms are controlled by a group of gears located in the center of the dial. 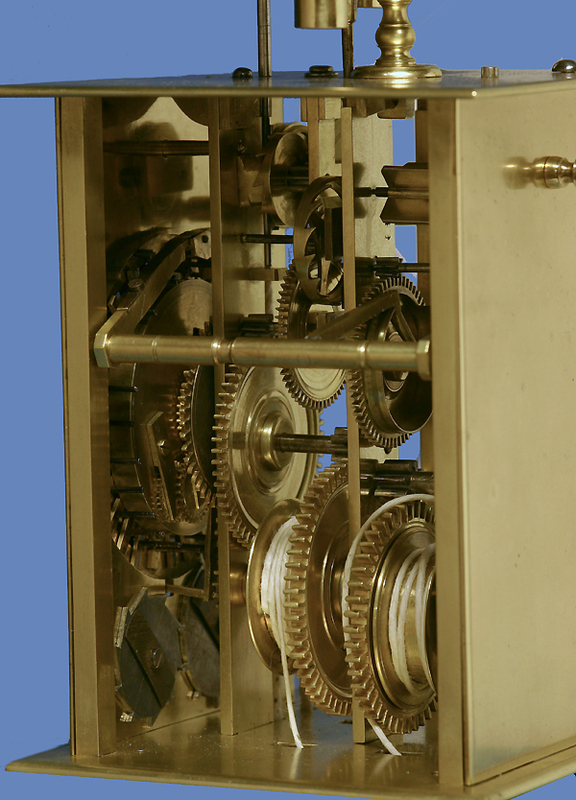 As the clock runs and the dial turns the arms and in turn the ‘numbers’ are either forced together or apart depending on the time of year and in accordance with the early Japanese system of timekeeping. 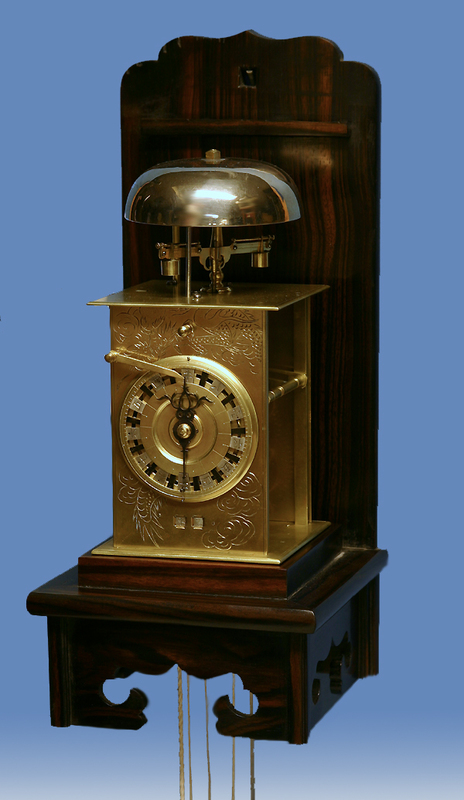 Once set, the dial will continue to show the temporal time for the rest of the year. Since the dial is self-adjusting there is no need to manually adjust the characters. 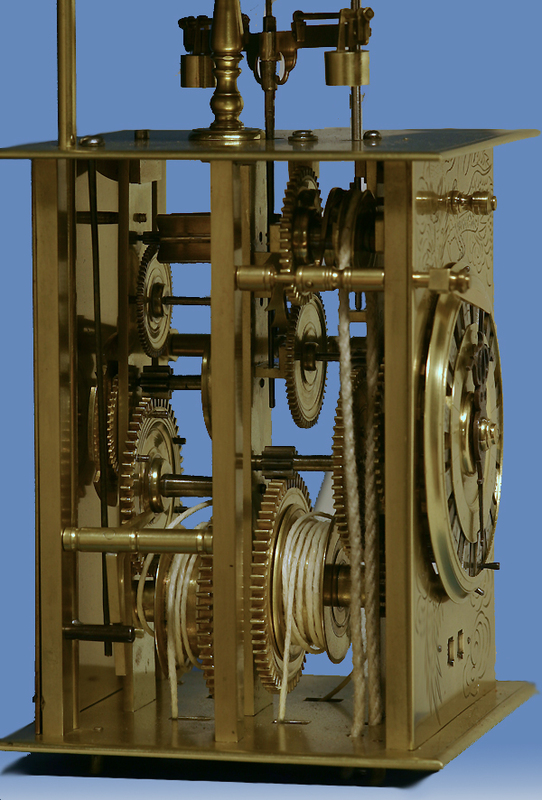 The time, strike and alarm movement has finely turned solid brass wheelwork with steel shafts and pinions, equally well-turned brass shafts, an engraved, removable frontplate, a removable backplate, a foliot escapement, an alarm, a self-adjusting dial and strikes the hours, 9-4, and the half-hours, 2 or 1, by torsion on a bell mounted above. 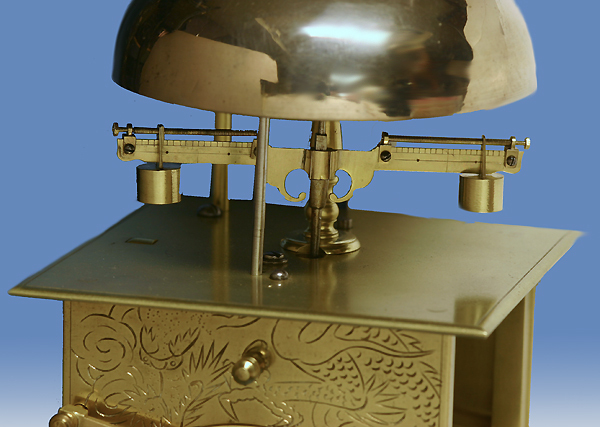 The foliot is suspended by thread from the finely turned post and has brass weights suspended from two very finely threaded rods that are adjusted horizontally for the fast/slow by the two nuts at the ends. 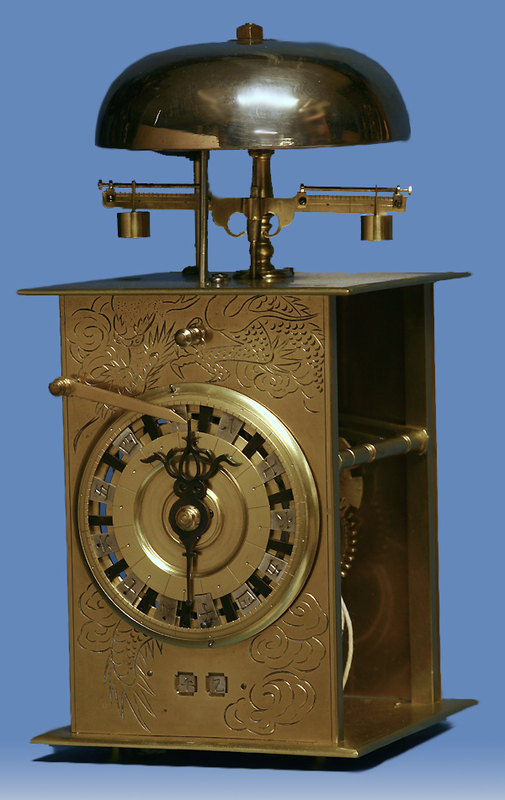 The self-adjusting feature of the dial can only be found on a handful of Japanese clocks.